Though rhino poaching is historically more common in this region, the man was found in what is considered lion territory. 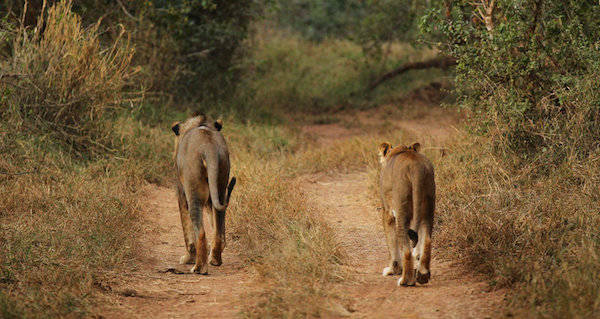 NPRLion and lioness at Kruger National Park. A man believed to be a poacher was mauled to death by the pride of lions he was hunting. It happened in the province of Limpopo of northeastern South Africa over the weekend of February 10th. The pack of lions attacked and killed the suspected poacher near Kruger National Park at the Hoedspruit private game park. Little of the man’s remains were left as the animals ate his body after killing him. Only his head was left behind. Moatshe Ngoepe, a local police spokesman, said authorities initially thought the dead man was a park employee and tractor driver who had gone missing. However, that man has since been found alive. The identity of the eaten man is still being determined in an ongoing investigation. A loaded hunting rifle was found nearby, leading authorities to believe he was, in fact, a poacher. Additionally, poaching in the area has been on the rise in recent years due to an increase in rhinoceros poaching. In January of 2017, three poisoned male lions in Limpopo were found decapitated and their paws had been removed as well. Poaching is hunting without legal permission from whoever controls the land and contributes to loss of vulnerable and endangered populations of animals like tigers, rhinoceroses, or orangutans. Since much of the man’s body was eaten, it creates a greater challenge when it comes to authorities being able to easily identify him. It seems having his head could be helpful in figuring out who he is. 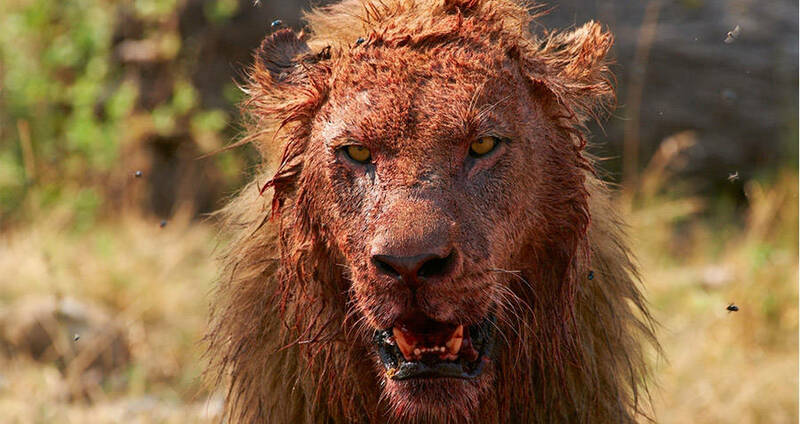 A reason lion body parts are sought after by poachers is their use in certain traditional medicines popular in parts of Africa and Southeast Asia. Those caught for poaching animals are usually given penalties in the forms of hefty fines, so poachers see it as an economic risk-to-reward balance. Of course, there is nothing that can be done when it comes to the animals that are captured. And in this case, the risk-to-reward stakes were clearly more than economic ones. Now read about the lion killed by big game hunters. Then learn about the elephant that killed a hunter by body slamming him.